We asked a few of the bands we've worked with over the years to come up with a cover version of one of their favourite 7" singles. The interesting thing is that they also had to do the original b-side as well. That made it a lot trickier and a few fell by the wayside but we've ended up with a great set of seven singles. This single is part of the 30th Anniversary singles club and will also be available separately as a standalone release. 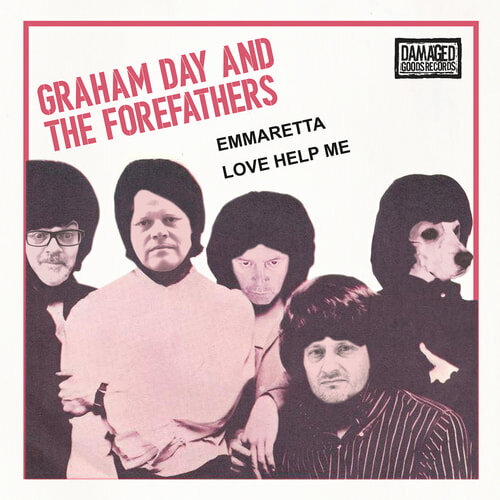 It’s a cover of the Deep Purple classic ‘Emmaretta’ and comes backed with the original b-side ‘Love Help Me’ and a homage version of the original British 7” sleeve. A limited edition clear vinyl version is available to club members. (250 copies / mail order only).